Now that the kids are back into their daily school routines, and the cooler weather is setting in, it's the perfect time to steal off for a weekend family getaway. The good news is that there are numerous Georgia vacation spots for you to choose from, but which is the best spot for your family? In order to create lasting memories and get the most value for your dollar, it is extremely important that you take the time to carefully weigh your options. The best way to do this is by breaking down your choices, side by side. In this post, we will carefully compare two popular Georgia vacation spots: The Georgia Aquarium, and weekend at a cabin in the mountains. Georgia aquarium - For those who are fascinated by water-dwelling plant & animal life, the Georgia Aquarium is the place to be. Featuring more than 60 exhibits, there's something for everyone within the aquarium's walls. Many visitor's delight in the ability to come face-to-face with some of the ocean's "gentle giants", like whale sharks and manta rays. 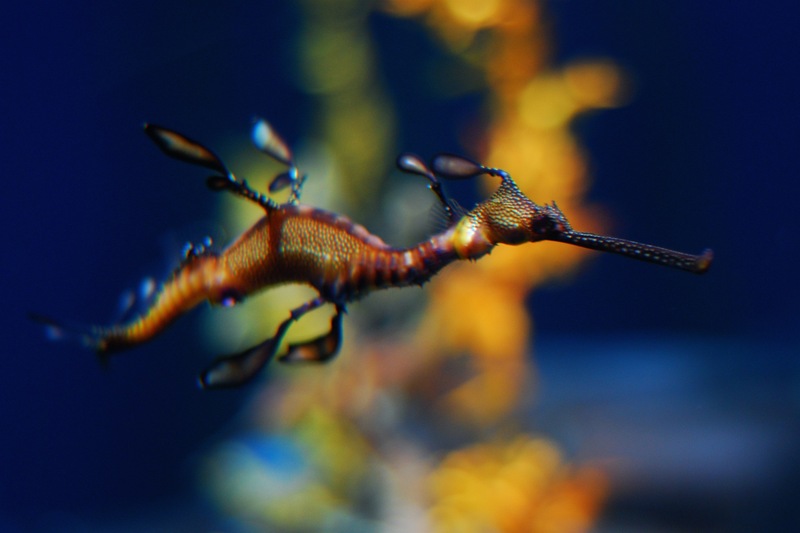 These creatures can be found in the Ocean Voyager exhibit, which enables guests to observe the animals from an acrylic tunnel, and a giant acrylic viewing wall. Cool off by visiting Cold Water Quest where you'll encounter beluga wales, sea dragons, spider crabs, and of course, penguins. You'll also have the opportunity to be dazzled by all of the life within the tropical coral reefs. Take a break from the ocean, and embark on a river adventure, where you'll see albino alligators, piranha, and playful otters. And be sure to save time for 'Dolphin Tales', which is described as "broadway - with dolphins as the stars!" You'll leave the aquarium with a new appreciation for our underwater friends. A weekend in the cabins - The Helen are is one of the hottest Georgia vacation spots for a reason: there's plenty to do and experience. For thrills, there are zipline tours, water sports (kayaking, canoeing, white water rafting, fishing, tubing), mountain biking, and climbing. For an adventure, try panning for gold, exploring old mines, hiking in search of waterfalls, or horseback riding. More laid back activities include museum visits and carriage rides. Georgia aquarium - Admission to the Georgia Aquarium varies, based on whether you visit during a weekday, or a weekend. As most families plan their getaways around a Saturday and Sunday, we will use weekend costs for our estimate. Assuming you have a family of four with two adults, one child over the age of 12, and one child under the age of 12, your admissions price will be $133.80. You will also need to plan on another $10 for parking, and take food into consideration, as well. By allocating $10 per person, lunch may cost around $40. You may also want to set aside another $20 for souvenirs. For a day at the aquarium, then, you can plan to spend approximately $200. If your family would like to go on any of the aquarium's special encounters (with whale sharks, dolphins, otters, penguins, etc). You will need to plan for another $50-$200 per person. Be sure to also consider the cost of lodging in a local hotel, if you plan to stay overnight. Average hotel fees are $80. 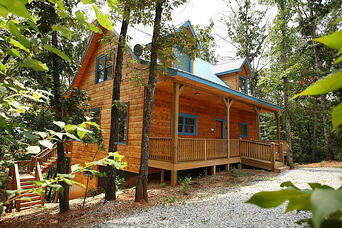 A weekend in the cabins - For a family of four, the cost to rent a cabin will be approximately $300/night. Although more expensive than a traditional hotel stay, these cabins offer multiple bedrooms and bathrooms, a fully equipped kitchen so that you can save money on meals, a living room, and numerous luxurious amenities. Although you'll find free museums, and free activities like hiking, birding or playing games in your cabin's game room , you may need to pay a small fee to rent bikes or sporting equipment. Some of the "bigger ticket" attractions, like ziplining and horseback riding may cost around $50 per person. Georgia Aquarium -The aquarium is one of many Georgia vacation spots that is geared towards families, but you will definitely need to make some considerations about whether or not this destination is ideal for your children. According to the Georgia Aquarium's FAQs, a typical family may take 4 hours to make their way through all of the exhibits (not including the dolphin show, a break for lunch, or any special animal encounters). Because of this, it's smart to assess whether your little ones will have the stamina to make it through the entire aquarium, while still in good spirits. If your children become tired easily, you may consider bringing a small stroller, however, navigating the crowds with a stroller may slow you down, so plan to add some time onto your day. It should also be noted that the aquarium does not offer stroller rentals, so you will need to bring your own. 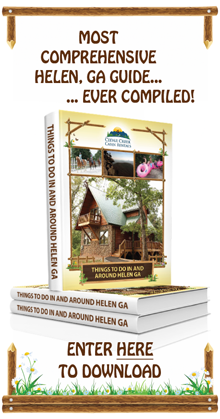 A weekend in the cabins - Helen is one of the best Georgia vacation spots for families. Whether you have young children or teenagers, you will find activities and attractions that will appeal to their desires. Younger kids will love taking nature walks, riding Surrey Bikes, panning for precious stones, and floating down the Chattahoochee on an inter-tube. Older kids will have a blast on mountain bikes, going on a kayak excursion, or taking a more exhilarating swift-water tubing ride. Georgia aquarium - The exact length of your visit will vary, based upon any extra activities your family chooses to do, and your pace. As mentioned previously, a typical visit will last 4 hours, however, curious children may want to linger longer at the exhibits, so take this into account. If you would like to see the dolphin show, you should tag on another hour. Special encounter visits will also add another 2 - 2.5 hours to your day. A weekend in the cabins - As one of the Georgia vacation spots with the most to do and see, you'll want to plan an entire weekend in the Helen area. Spending at least 3 days and 2 nights at the cabins will give your family the opportunity to explore everything that they desire without becoming burned out, while still being able to relax, unwind, and bond together. Georgia aquarium - The Georgia Aquarium is located on Baker Street, right in the heart of Atlanta. Those from out of time will need to map out their trip, but locals can reach the aquarium via MARTA or other public transportation. Your travel mechanism comes down to personal preference and convenience. A weekend in the cabins - The cabins in Helen are nestled in the north Georgia mountains, and are approximately 90 miles northeast of Atlanta. The trip from here will take travelers just under two hours. The drive to the cabins, via the GA 400 and Interstate 85, is fairly simple and straightforward. When all is said and done, your decision will largely be based upon the personal needs of yourself and your family. By taking the time to compare the key points of two common getaway destinations, though, you can come to a more conclusive and educated decision. Which of these two popular Georgia vacation spots appeals to you the most?